Bogie McGruder thinks he has finally gotten his life (and health) straightened out now that he lives in Palm Beach. 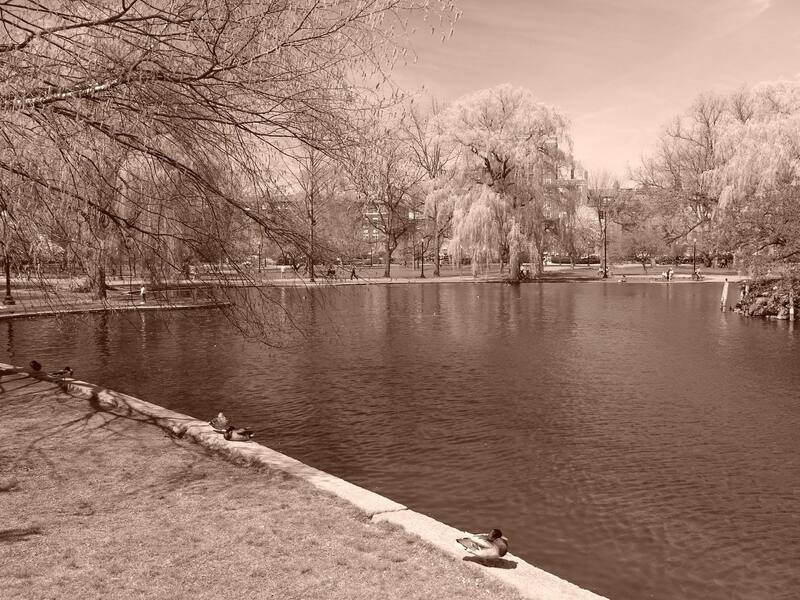 He left behind a morally bankrupt, dysfunctional, blended family, as well as, a young daughter he has never met (because of an equally dysfunctional love affair), back in Boston. Then he finds out that his teenage daughter is pregnant and wants to drop out of high school to marry the father. All this is nothing compared to the tangled mess he finds when he travels back to Boston to attend his half brother’s funeral. The plot thickens when he discovers that Bud was murdered in front of the law office where his ex-lover, Bailey, works. Soon after he arrives, he finds himself in the middle of every type of emotional drama that dysfunctional families seem to thrive on. He finally meets his daughter, Isabella, who proves to be a highly intelligent, precocious 3 year old. He then learns that her mother is in danger and proceeds to try to find out who is trying to hurt her (and by association), his precious daughter. His investigation turns up that the murder and the ex-lover’s case are deeply intertwined. 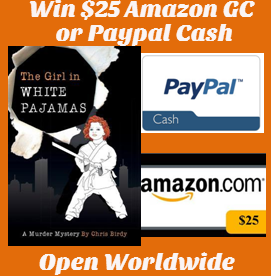 To keep her safe, he takes Isabella with him as he follows leads to solve the mystery of finding out who wants to see Bailey dead. At R&B headquarters (his security company), a couple of the bodyguards are assigned to keep an eye on his daughter for a while. Needless to say, Isabella soon has these big, burly tough guys wrapped around her little finger. 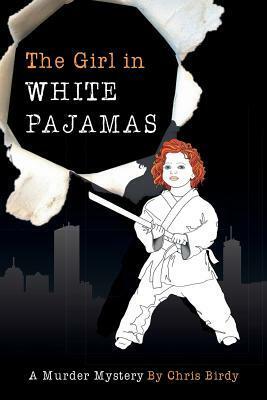 They bought her a miniature white “gi” (pajamas) and taught her some basic martial arts moves. For more than twenty years, Chris has been a member of the legal community performing investigative work for Boston law firms conducting business in rough housing projects and crack house neighborhoods. Several years ago, while sitting in a courtroom with a client, Chris watched as a police officer was lambasted by an attorney. The attorney was defending a young woman who crashed her car into two other vehicles before she passed out drunk behind the wheel. The occupants of the other cars were seriously hurt and the cop, a former EMT, tried to assist the injured while waiting for ambulances to arrive. The attorney questioned the cop’s every move, shredded his testimony and made him seem inept. Embarrassed, the cop returned to his seat beside me and muttered, “Everybody lies. The judges lie, the lawyers lie, the witnesses lie..” Chris wanted to tell him not to worry that in about five years he’d be just as good a liar as they were. 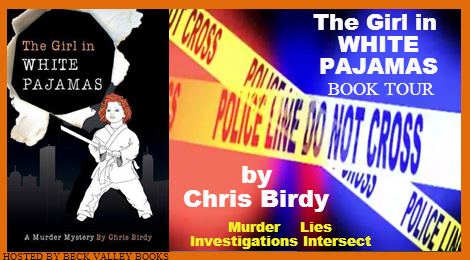 This entry was posted in My Thoughts & Opinions, Reviews and tagged Amazon, Beck Valley, Book, Book Tour, Chris Birdy, Girl in White Pajamas, Giveaway, Mystery, Review on September 4, 2014 by Tracy. What a great mix for a story, I haven’t read this one yet but hubbie has and loved it. I loved this book. I’m so glad the next one is ready and waiting for me to read.